The ACA 2003 Banquet will be held on Tuesday night at the NCSU University Club (4200 Hillsborough), about 3 miles West along Hillsborough from Harrelson. A special tour of Red Hat, the purveyors of Red Hat Linux and undoubtedly the premier Open Source software company in the world. The headquarter is located on the North Carolina State University Campus. 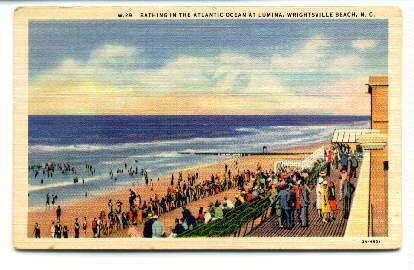 A trip to Wrightsville Beach, along the beautiful North Carolina Coast. Bring sunscreen, white clothes and a hat! The cost of the trip is included in the registration fee. Accompanying persons should be able to get seats, but because we are not able to run extra buses, we can't yet make a guarantee. Such requests will be considered at the conference.